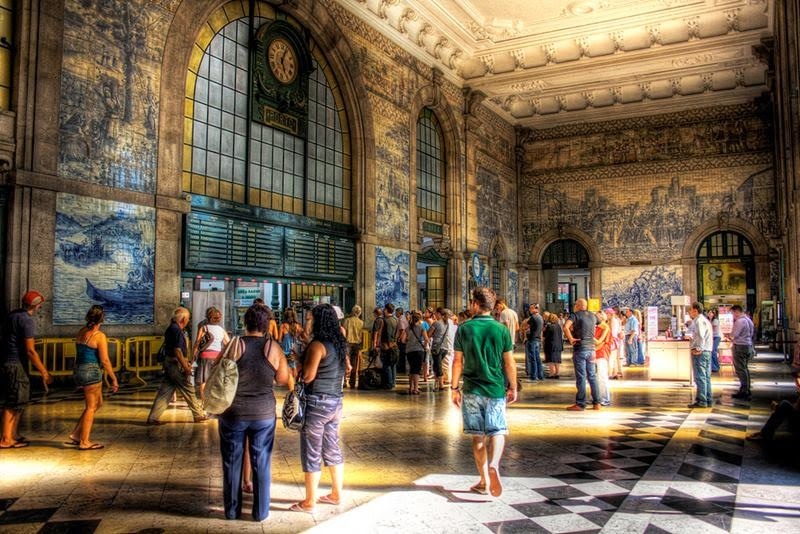 São Bento Railway Station is located in the city of Porto, in Portugal. 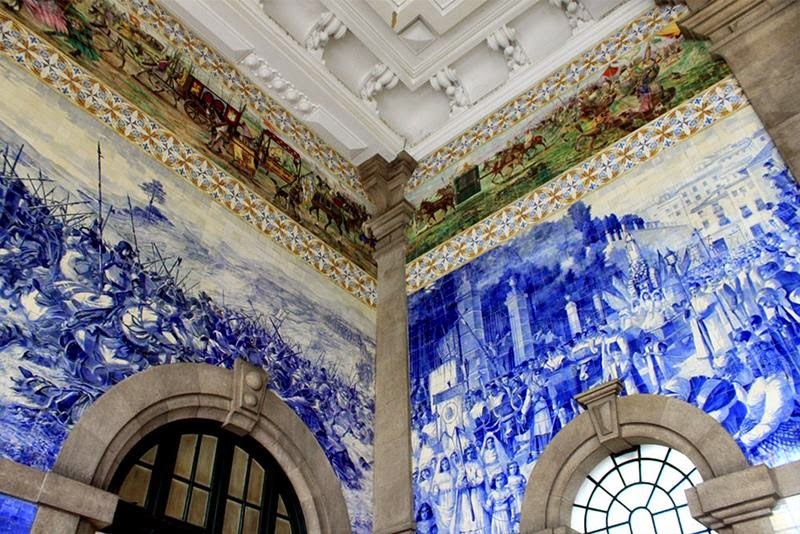 Inaugurated in 1916, the historical station is known for its tile "azulejo" panels that depict scenes of the History of Portugal. It is located in the Almeida Garret Square, in the centre of the city. 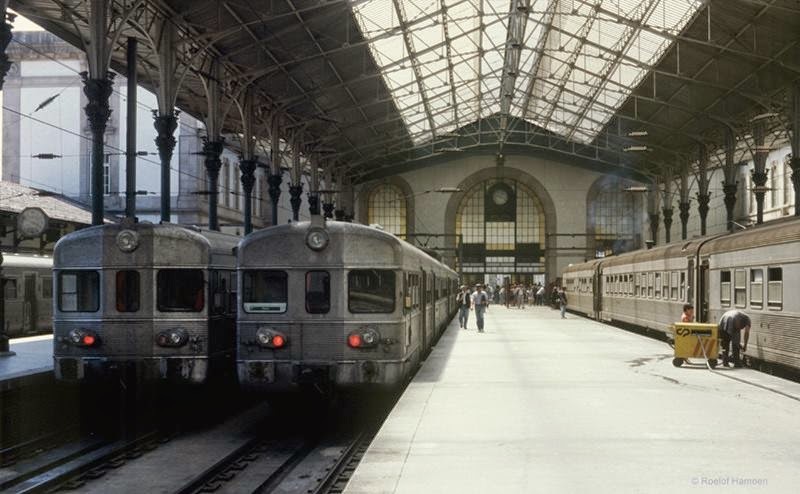 It remains in regular use as a railway station, served by trains operated by Comboios de Portugal. 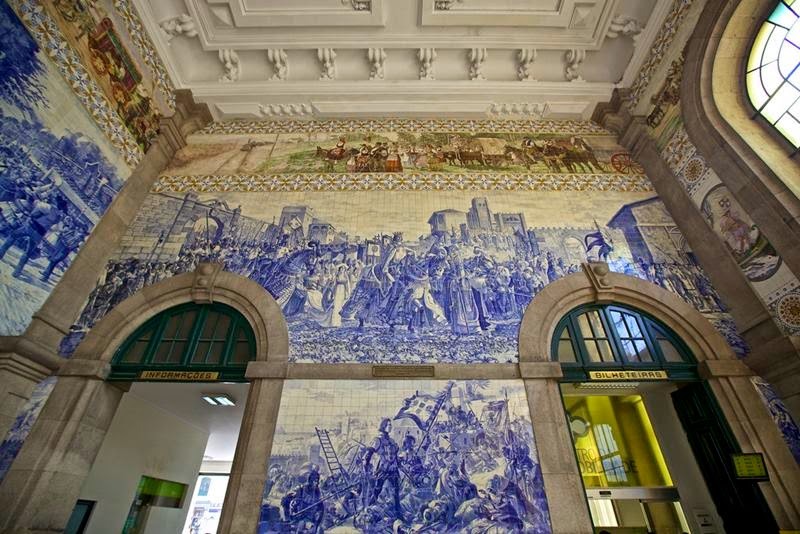 The interior walls of the station are lined with a large mosaic made with about 20,000 tiles, they're the work of artist Jorge Colaço date from 1905–1916, the first tiles were put up on 13 August 1905. 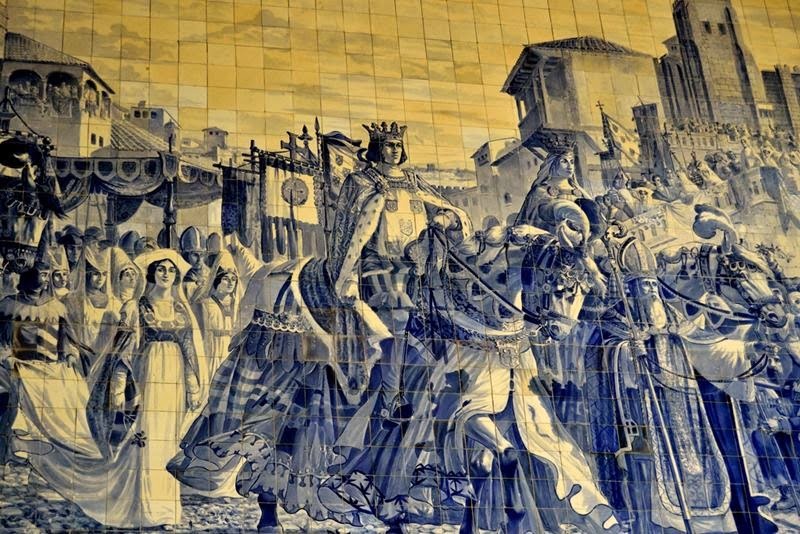 These tiles represent with striking drawings, historical scenes of Portugal, as well as illustrations chronologically the evolution of transportation and some everyday scenes of the city. 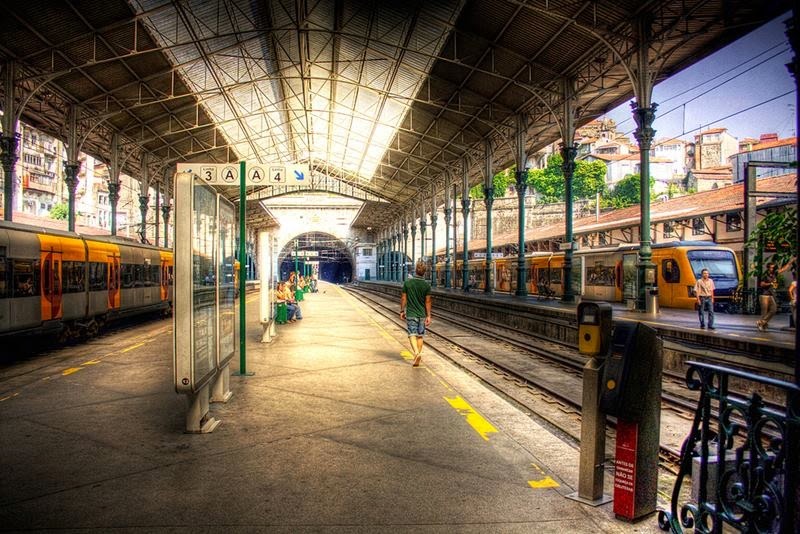 The station is built on the site of an old Benedictine monastery, named Sao Bento de Ave Maria, dating back to the 16th century, though the original building burnt down in 1783 and its replacement was poorly cared for, it too finding itself in a serious state of disrepair at the end of the 1900s. 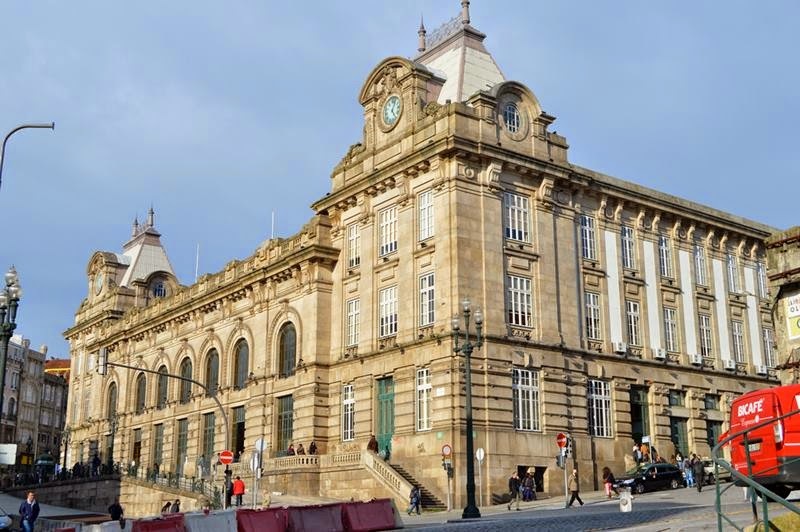 With the expansion of the railways, it was decided the site should be the new home of Porto’s mainline station, and work began on the terminal building in 1900. The first stone was laid by King Carlos I to underline his support of the project, the design of which was entrusted to the local architect, Jose Marques da Silva in French Beaux-Arts style. Considering they are now a century old, the tiles have withstood the test of time superbly. 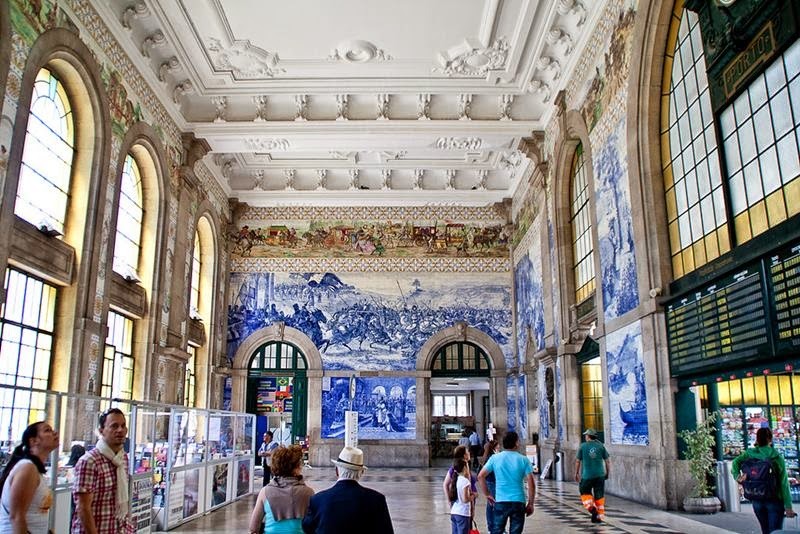 The sight of the floor-to-ceiling decoration in 20,000 blue and white tiles is breathtaking when you enter the station, and no matter how many times you return their impact is undiminished. 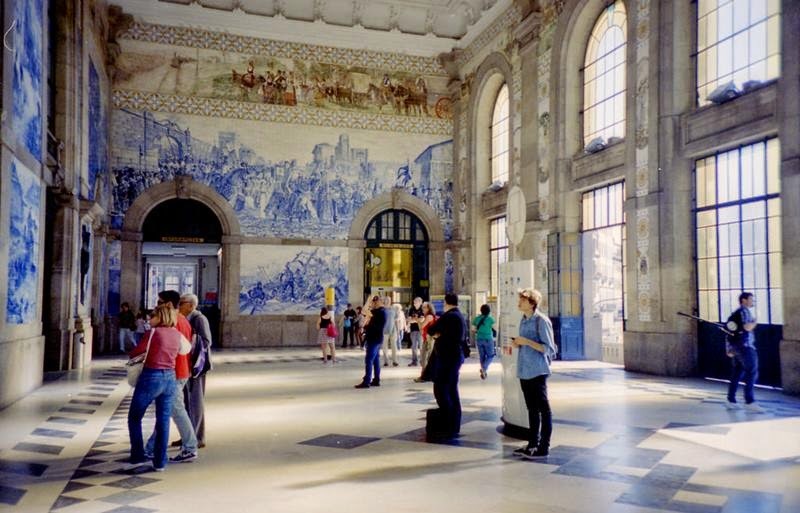 Many visitors to this city in northern Portugal are likely to use Sao Bento Train Station for their everyday journeys around the city, but it is well worth a visit in its own right in order to fully appreciate its splendour. The most remarkable panels are those showing King João I and Queen Philippa of Lancaster by the city's cathedral in 1387, Prince Henry the Navigator conquering Ceuta in Morocco, and a representation of the Battle of Arcos de Valdevez. 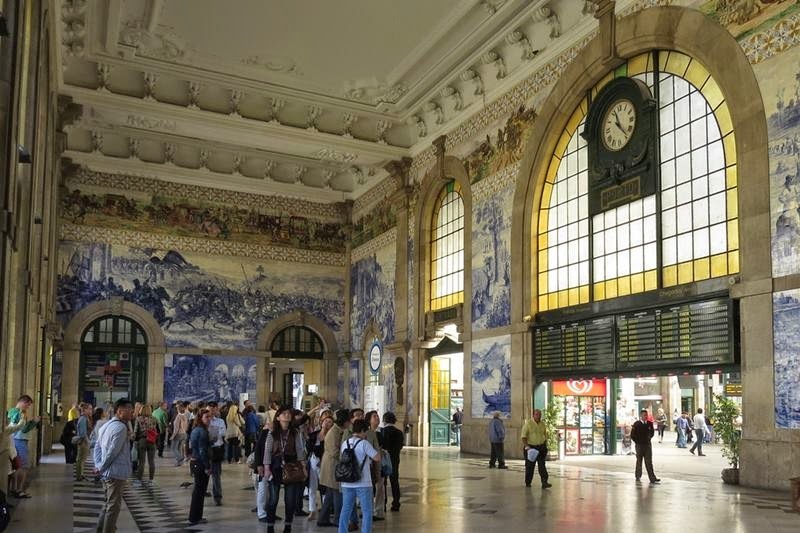 Trains arrive here and depart to the major cities of the north of Portugal, while the service to Lisbon is at Campanhã Station which is easily reached by Metro from the center of Porto, including from Sao Bento Station.